According to WHO, at least 1.5 billion people living in 118 countries (in 1990), runs the risk of disruption due to iodine deficiency. Iodine is a trace mineral found in nature. Iodine to function as a regulator of growth and development, one of which is to improve intelligence. Risk of iodine deficiency effect on brain development. Iodine deficiency during pregnancy results in impaired thyroid hormone synthesis, either by the mother or fetus. The fetus begins to produce thyroid hormone at 24 weeks' gestation. Before the gestation proficiency level, fetal thyroid hormone needs met by the mother. After that, the maternal transfer occurs despite reduced presentation. Deficiency of thyroid hormones on the developing brain resulting in mental retardation. Several studies have shown that iodine deficiency results in an increase in perinatal mortality, the incidence of babies with low birth weight, and congenital abnormalities. Iodine deficiency also increases the infant's death in general. Given that the newborn brain reaches about one-third of the adult capacity, then the iodine deficiency at this time will also greatly affect brain development. Effect of iodine deficiency on the central nervous system in this age group are more prevalent due to iodine deficiency in the previous age. Community who suffer from iodine deficiency will undergo impairment of mental function as indicated by an impaired ability to take the initiative and decision-making in general will hinder the development of the entire community. Iodine deficiency, as in other hypothyroid condition, would interfere with the growth and development of children and adolescents. Deficiency of iodine can cause goiter incidence of mechanical complications with all that he had created, as well as increased susceptibility of the thyroid gland to nuclear radiation. Long-term iodine deficiency, especially in goitre multinodul with autonomous nodules can cause hyperthyroidism. 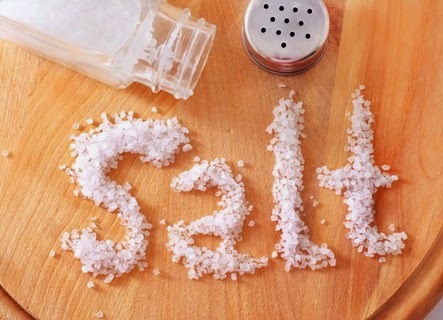 Until now, iodized salt is still regarded as the most good way of supplementing iodine. Advantages of iodine supplementation in salt because salt is consumed by all levels of society with relatively equal amounts each year and relatively stable. In some countries, centralized salt production in several production centers so that iodine standardization process is relatively simple. There are two types of iodine that can be used for iodized salt, which is in the form of potassium iodide and potassium salts iodidat. Iodidat shape is more stable than iodide thus more widely used in the humid tropics. The concentration of iodine that is added must be able to meet the daily requirement of iodine. Assuming that 3-6 mg daily salt intake and taking into account the loss that may occur from the consumption of the production phase to phase, then 20-40 mg iodine per kg of salt should be added. There are several things that affect the concentration of iodine in salt, such as packing and cooking process. The use of jute sacks for storing salt is not recommended because of the humid tropics, sucking salt water so that the iodine in it dissolves into the water and then drain out. Loss of iodine due to this process can reach 75% within 9 months. Iodine can also be vaporized by heating up iodized salt should be included at the end of the cooking process and is available as table salt. To maintain the quality of iodine consumed by the public, should be done periodically monitor the rate of iodine in salt is sold in shops and stalls or kept at the household level.